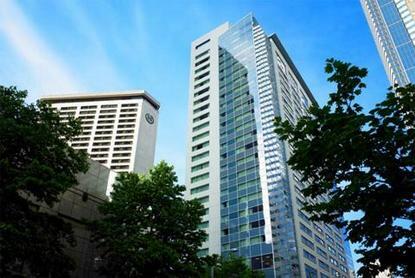 Nestled in the city's vibrant core, the Sheraton Seattle Hotel is a gateway to all the sights, sounds, and experiences of the fabulous Northwest. The best of Seattle is found just outside our front doors, from exciting nightlife to gourmet restaurants, world-class shopping, and of course, the heart of the financial and business district.Already recognized for attentive and exceptional service, our AAA Four Diamond hotel offers the freshest guest rooms, corridors, meeting space and lobby in the Northwest.Discover maximum comfort and convenience in each of our 1258 guest rooms, carefully designed down to the smallest detail. Or experience the luxury of our Club rooms, a wonderful alternative for discriminating travelers.Plan an event they will always remember in our 14,000 sq. ft. Grand Ballroom, three junior ballrooms or the spectacular 35th floor Cirrus Room, offering sweeping views and gorgeous decor. Tempt your tastes with a variety of private dining venues, offering unlimited opportunities for designing exclusive, themed events. Or if you're looking for a little recreation, our health club features a sauna, Jacuzzi, massage, and a comprehensive selection of exercise equipment.The Sheraton Seattle Hotel is a prestigious landmark with the perfect location and a full complement of resources to satisfy the needs of the most discriminating traveler. Won't you join us?